On March 1st, 2018, H.E. 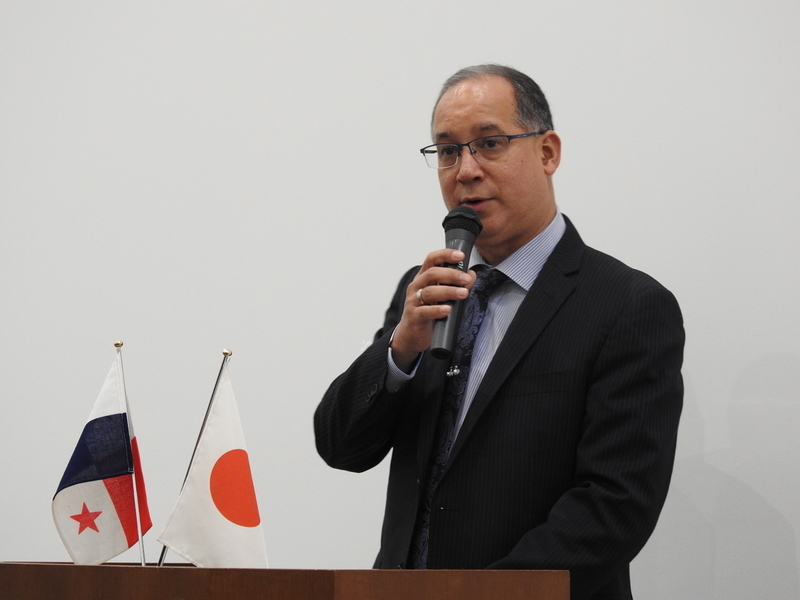 Ritter Diaz, the Ambassador of the Republic of Panama to Japan, was invited to the inauguration ceremony of the new sale of the Panamanian coffee called “Panama Chiba Coffee”, which is a collaborative project between Saza Coffee Co., Ltd. and Chiba University. 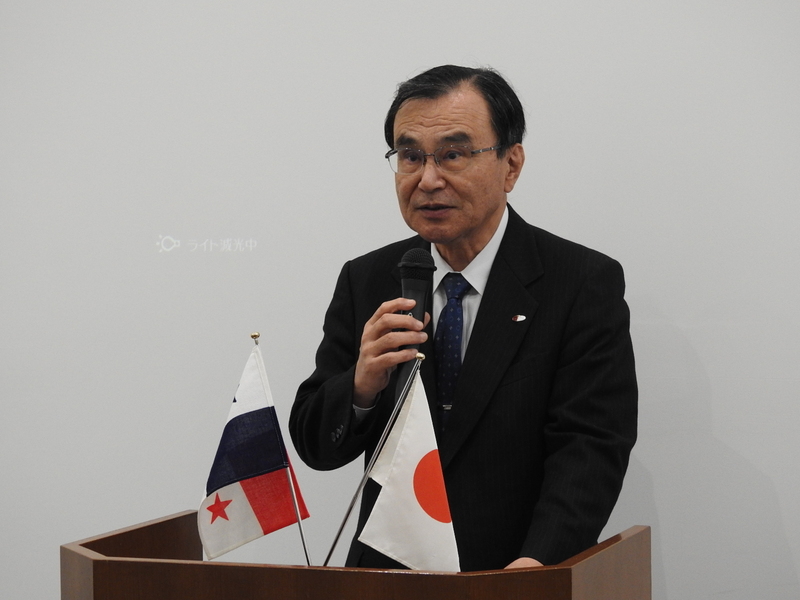 The “Panama Chiba Coffee” will be on sale at different regional shops of Chiba University, as well as online shop of Saza Coffee Co., Ltd.
At the beginning of the ceremony, Mr. Takeshi Tokuhisa, President of the University explained that this initiative represents the friendship and corporation between Chiba University and the Republic of Panama. 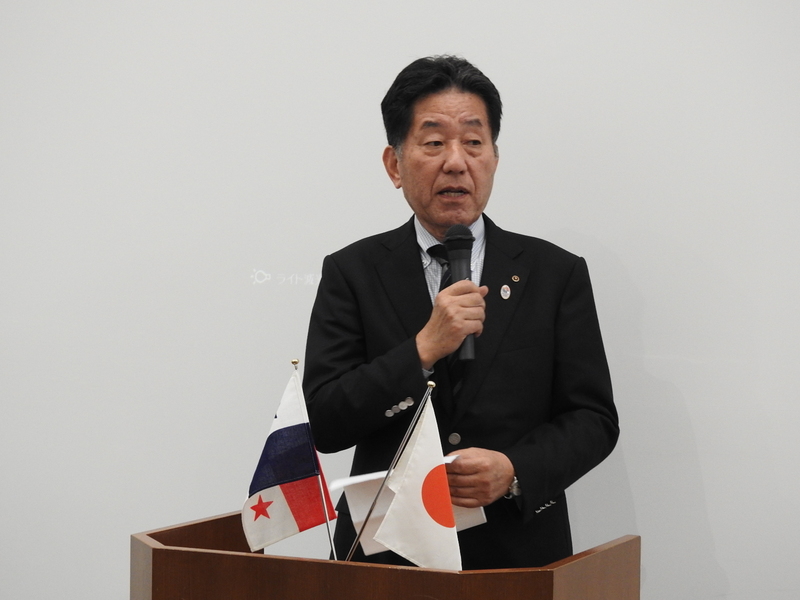 He also expressed his appreciation to Mr. Yoshio Suzuki, Chairman of Saza Coffee Co., Ltd, who was invited to this ceremony, for his efforts to the “Panama Chiba Coffee” project. After that, the Ambassador expressed his gratitude for the inivitation to this ceremony and also the continuous support of Chiba University for Academic Exchange between Panama University (UP) and Panama Technological University (UTP), to train Panamanian students and researchers in the innovative agricultural production called Plant Factory or Vertical Farming, utilizing controlled-environment agriculture technology. 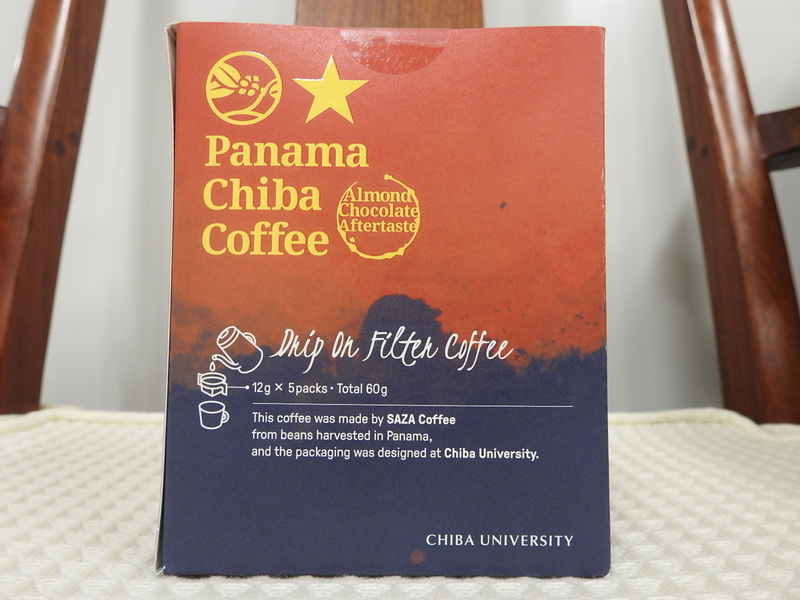 During this ceremony, the participants were explained about the package design of “Panama Chiba Coffee”, which reflects the representative color of Panama, together with the introduction of Panama as well as the relationship between Chiba University and our country. 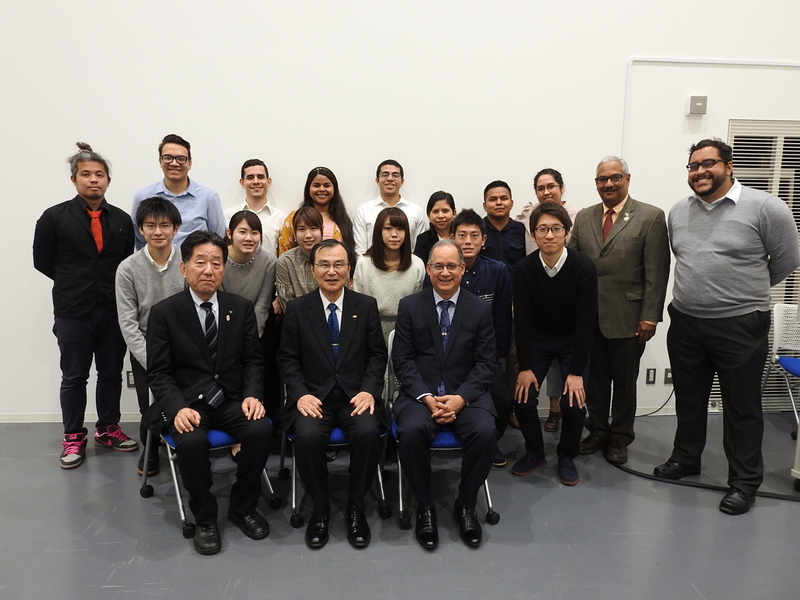 Furthermore, the professors and students from Panama University (UP) and Panama Technological University (UTP) also participated in this event, whom are in part of the Academic Exchange Program at this moment, of which has initiated since three years ago with support from the Embassy of Panama in Japan. 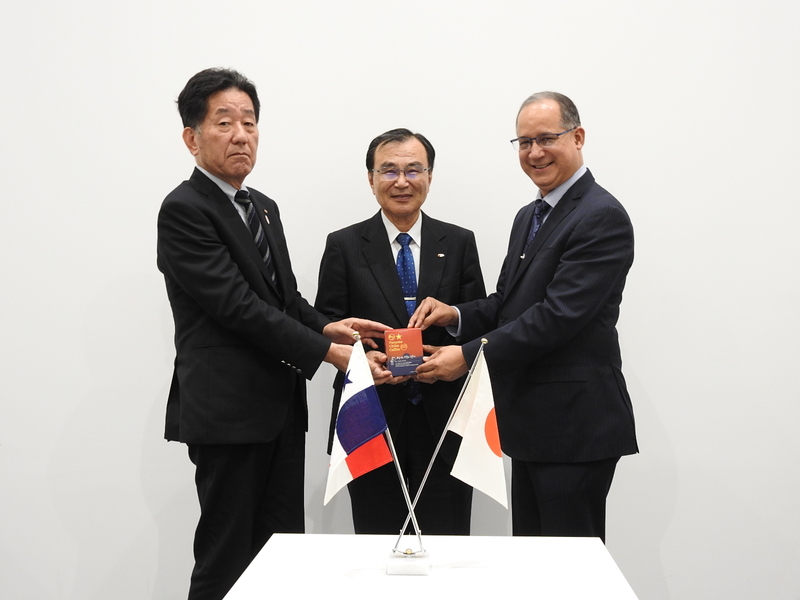 From the right, the Ambassador Diaz, President Tokuhisa and the Chairman Suzuki of Saza Coffe Co., Ltd. This entry was posted on Friday, March 2nd, 2018 at 2:37 pm and is filed under event.You can follow any responses to this entry through the RSS 2.0 feed. Both comments and pings are currently closed.